I love those private party menus. Everytime I read about the great private dinners and the menus I despair when I can't see them. I always wonder where they went... especially those hand painted Tiffany numbers. 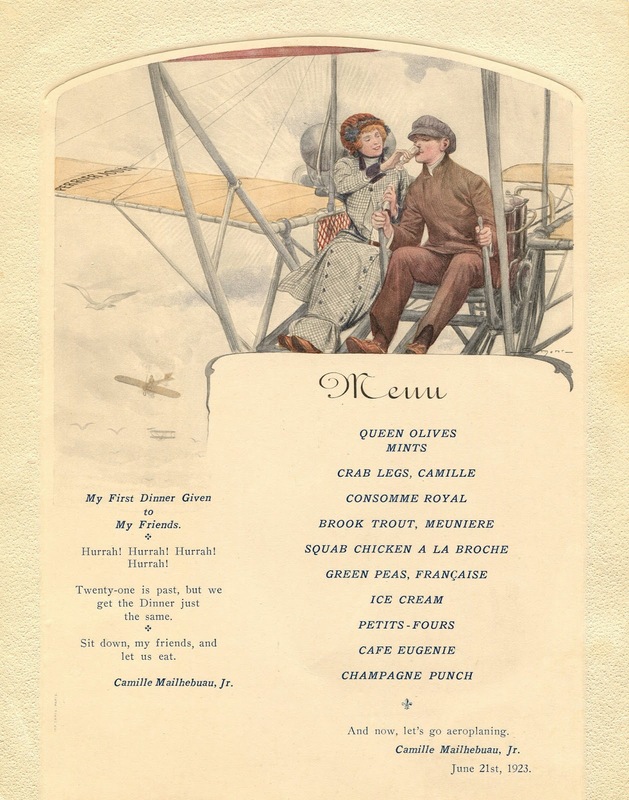 A charming menu and lovely dishes (although I don't have a clue what some of them are).